Do you remember what you felt like when you graduated university? Graduation is an exciting time, but it can also be scary and lonely. Taking the big step into “the real world” and landing our first job can be one of the most stressful times in our lives. Do know a young woman graduating university this year? Wouldn’t it be wonderful to give her powerful advice, inspiration and the steps she needs to take to successfully navigate the next stage of her life? You can! UNDETERRED: The Six Success Habits of Women in Emerging Economies is the perfect graduation gift for your daughter, your niece, a friend or an intern. 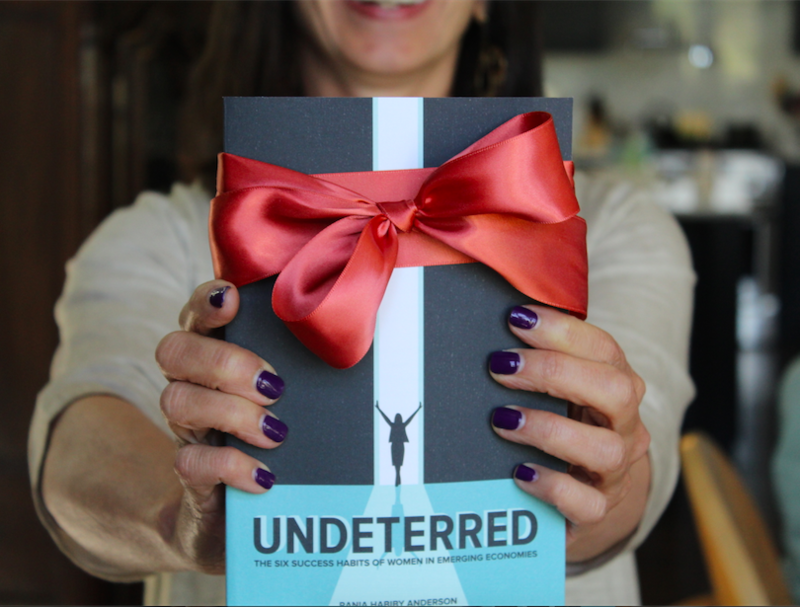 Buy UNDETERRED today on Amazon, Barnes & Noble, iBookstore and at 39,000 retailers globally. You can also get its companion workbook, I AM UNDETERRED: My Success Plan, full of reflection and action. Help a young woman you know prepare for success! She will thank you for your generosity, and guidance as she dreams big for her future.